The summer months are arguably the most impactful of any season of the live tournament circuit. 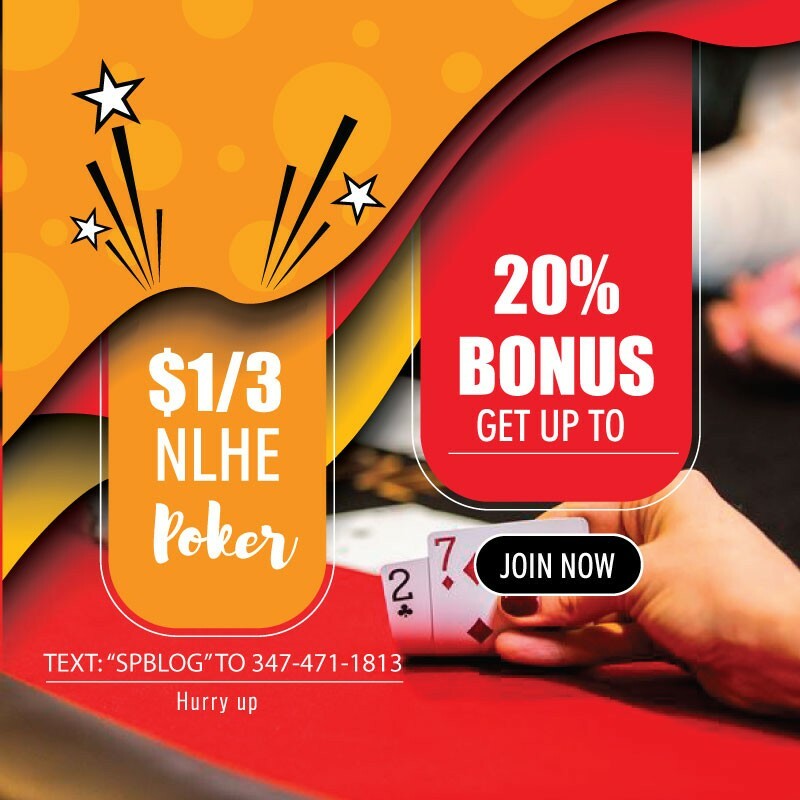 There are several tournament series as the season winds down that have historically had massive ramifications for the 2017 Card Player Player of the Year race, which is brought to you this year by the Commerce Hotel & Casino. Here is a look at the events this past month that had the biggest impact on the top of the 2017 POY leaderboard. The 2017 Seminole Hard Rock Poker Open series featured 18 events throughout the early weeks of August, but the centerpiece of the whole affair down in Hollywood Florida was a set of four tournaments known as the ‘Big 4’. These events featured a combined $6.5 million in guaranteed prize pools and were timed to all conclude on the same day with dueling final table live streaming broadcasts. A fifth event, a $500,000 guaranteed $10,000 buy-in high roller, also ended up being quite relevant to the POY race. The $3 million guaranteed $5,250 buy-in no-limit hold’em championship event was won by Martin Koslov for $754,083 and 1,824 POY points. This was his second final table finish of the year, and as a result, he has climbed into 52nd place in the rankings. Matt Berkey finished third for $341,618 and 1,216 points. This was Berkey’s fourth final table finish of the year, and as a result of this latest score he has moved into 16th place on the leaderboard with 3,071 total points and $830,667 in year-to-date earnings. The $2 million guaranteed $25,500 no-limit hold’em high roller event was won by John Andress, who took home $801,450 and 840 points. Chris Hunichen finished fourth for $242,775 and 420 points. This was his seventh final table showing of the year. With 2,916 points and $866,788 in earnings so far in 2017 he has moved into 22nd place in the overall POY rankings. The third major event was the $1 million guaranteed $2,650 buy-in no-limit hold’em freezeout.Alex Foxen emerged victorious in the end with the top prize of $204,600 and 900 POY points. This was his third final-table finish of the year and it saw him move into 90th place in the POYstandings as a result. Third-place finisher Jason Koon earned $91,250 and 600 points for his 10th final table finish of 2017. Koon was far from done for the month, though, so there will be more on him later. The $500,000 guaranteed $1,100 no-limit hold’em event was won by Brian Altman. He earned $118,157 and 840 POY points after coming out on top and now occupies the 87th-place spot on the POY leaderboard. The $500,000 guaranteed $10,000 no-limit hold’em event was not part of the ‘Big 4’, but it was still plenty big. The tournament drew a field of 118 players, more than doubling the guarantee to create a $1,132,800 prize pool. Alexander Turyansky came out on top in the end, defeating Bryn Kenney heads-up to secure the title, the first-place prize of $334,176 and 600 POYpoints. Kenney earned $206,736 and 500 points as the runner-up. This was his 14th final table finish of the year, and he fell just short of capturing his fifth title. He was already the POY leader before this win, but Kenney was just getting started for the month, so look for more info regarding his incredible 2017 performance later on in this article. Igor Kurganov came out on top in the 2017 PSC Barcelona €50,000 super high roller, defeating a field of 86 total entries to earn the €1,084,100 ($1,275,071 USD) top prize and 816 points. Koray Aldemir earned $625,054 and 544 points for finishing in third place. This was just one of three final table finishes he made during this series. He also finished second in a €10,200 turbo no-limit hold’em side event and fifth in a €2,200 no-limit hold’em event. All told he cashed for more than $845,000 and earned 1,314 POY points on the trip. The Austrian poker pro now has 14 final table finishes and three titles in 2017, accumulating more than $3.7 million in year-to-date earnings along the way. Aldemir’s incredible showing in Spain catapulted him into the number two spot on the leaderboard, more than 500 points ahead of his nearest competitor. Bryn Kenney finished seventh in the event for $234,410 and 204 points. British poker pro Stephen Chidwick outlasted a field of 122 entries to win the 2017 PokerStars Championship Barcelona €25,500 single-day high roller for €690,400 ($814,672 USD) and 840 points. Just two days later he finished third in another €25,500 high roller in Barcelona for another $260,426 and 336 points. After these two huge scores he climbed into 10th place in the overall standings with 3,602 points and $2,537,698 in year-to-date earnings. In the single-day event Chidwick defeated none other than Bryn Kenney heads-up for the title. Kenney added $550,470 and 700 points for his incredible 16th final table finish of the year, the most of any player. He also has taken home the most titles of anybody this year with four wins. With more than $6.1 million in earnings so far in 2017 and 5,566 points, there is no doubt that Kenney is the player to beat in this year’s POY race. He is currently 780 points ahead of Aldemir, his nearest competition. Sweden’s Sebastian Sorensson took down the 2017PokerStars Championship Barcelona €5,300 buy-in, €7 million guaranteed no-limit hold’em main event, outlasting a field of 1,682 entries to win the top prize of €987,043 ($1,176,901 USD). He also earned 2,160 points, enough to see him rise to 54th place in the standings despite no prior live cashes this year. Third-place finisher Raffaele Sorrentino earned $1,013,629 and 1,440 points at his fourth final table showing of 2017. His largest score came when he took down the PSC Monte Carlo€5,300 buy-in main event for $513,269 and 1,824 points. He also won a $1,500 buy-in event at the Venetian DeepStack Extravaganza III for $84,588 and 840 points. With 4,224 total points and year-to-date earnings of $1,621,325 he has climbed into 3rd place in the standings. The high stakes tournament poker world descended on the Aria poker room again in late August for the latest of the Aria High Roller tournament weekends. On Aug. 18 a total of 15 entries were made in the Aria High Roller 73 $25,000 buy-in, with Cary Katz emerging victorious in the end. 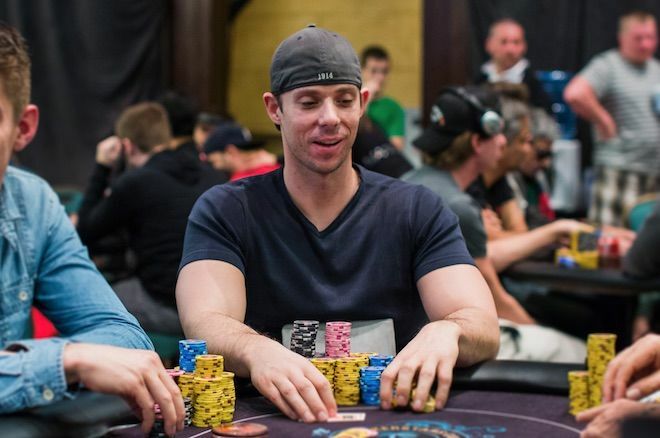 Katz earned $217,500 and 336 at his eleventh final table of the year. This was his second title of 2017, and it caused him to move into 14th place on the POY leaderboard. Jason Koon finished third for $45,000 and 224 points in that event, as well. The following day Koon did one better, finishing second from a field of 10 to earn $75,000 and 280 points. These were his 11th and 12th final table finishes of 2017, and they brought his year-to-date earnings to $3,100,301. With 4,124 points earned so far, Koon has joined the top five in the Player of the Year standings and is currently sitting in fourth place. The 2017 World Poker Tour Legends of Poker $4,000 no-limit hold’em main event attracted a field of 763 entries, the second largest turnout in the tournament’s 16-year lifespan. In the end Art Papazian emerged victorious with the title, the top prize of $668,692 and a healthy bounty of 1,368 POY points. Papazian had no previous POY-qualified scores in 2017, but this win alone was enough to see him climb into 170th place in the rankings. Finishing in second place was none other than Poker Hall of Famer Phil Hellmuth .The 14-time WSOP bracelet winner fell just short of winning his very first WPT title, earning $364,370 and 1,140 points as the runner up. This was Hellmuth’s third final-table finish of the year, and it moved him into 126th place in the standings. Other notables who made the final table of this event include J.C. Tran (3rd – $217,040 and 912 points) and Marvin Rettenmaier (5th – $120,775 and 570 points). Neither player joined the top 200 on the POY leaderboard as a result of their big scores in this event, although Tran was close. He currently sits in 226th place.